On Tuesday, a company called OPIMUS PRESS Zrt announced that it has acquired Mediaworks, the Austrian-owned firm that published Hungary’s largest opposition daily, Népszabadság, which it shut down amidst international scandal just over two weeks ago. OPIMUS PRESS Zrt, part of the OPIMUS Group, is a firm affiliated with Lőrinc Mészáros, the billionare Fidesz mayor of Prime Minister Viktor Orbán’s hometown of Felcsút. In its press release, OPIMUS announced that it would “explore the possibility of relaunching Népszabadság as a matter of priority and will come to a decision as soon as possible.” There has been speculation in Hungary that Népszabadság, as a re-imagined pro-government paper, would become home to some of the journalists currently employed by the pro-Fidesz daily Magyar Idők, which has a dismally small readership estimated at around 5,000 and which is being kept on life support only through hefty government and public services ads. Magyar Idők may be scaled back, while Népszabadság is re-launched as a flagship, pro-government publication. Were this to happen, it would hardly be the first time that a major Hungarian publication undergoes a complete political makeover. In November 2006, the Magyar Hírlap print daily, once the country’s flagship liberal publication, was transformed first into a conservative-leaning daily and then into a hard right newspaper, under the ownership of Fidesz businessman and media magnate Gábor Széles. By November 2007–so within one year–almost the entire journalistic staff and editorial team at Magyar Hírlap had been replaced, in order to expedite the publication’s political transformation. More recently, Hungary’s largest news website, Origo, was bought by business interests associated with the ruling party. In 2014, the site’s editor, Gergő Sáling, was replaced and the online publication went from a strong, critical voice to a servile, pro-government publication, which posts dubious material. For instance, on October 23rd, as Fidesz supporters were physically assaulting opposition activists in Kossuth Square, during the sixtieth anniversary commemoration of the 1956 Revolution, Origo concocted a blatantly false story about non-existent violence and a “scandal” at a Jobbik commemoration that same day, in order to deflect attention from what was happening in Kossuth Square. Other media organs are still critical of the Orbán government, but are also believed to be extremely vulnerable to political interference. For instance, a previous editor of the Index news site — Péter Uj–recounted how a journalist in 2011 was reprimanded, punished by having his pay reduced and was told that he had no future at the publication after he wrote a critical piece about Prime Minister Viktor Orbán and his troubled, ineffective relationship with the European Union. At different times, Mr. Uj was also asked by political operatives to delete certain critical articles from Index’s website. Whether Népszabadság is relaunched by its new owner remains to be seen, but one thing is certain: OPIMUS PRESS Zrt’s purchase of Mediaworks and its portfolio means that a company widely believed to be aligned with Fidesz now controls revenue-generating regional newspapers in 12 out of Hungary’s 19 counties. 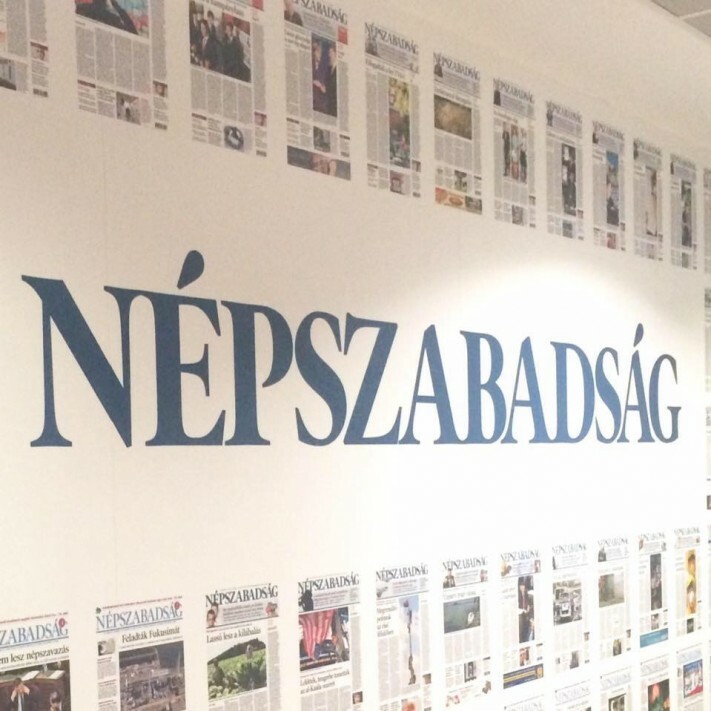 The shuttered Népszabadság’s editorial team, which communicates with the public using a Facebook page, published a scathing post about the sale of Mediaworks and its Austrian owner and businessman, Heinrich Pecina. “Pecina has flat out sold Mediaworks Hungary Zrt to Opimus Press, which is connected to Lőrinc Mészáros,” writes Népszabadság’s editorial team. They note that the direction of a potentially relaunched Népszabadság is clear, considering that pro-Orbán journalist and editor Gábor Liszkay is one of the newly appointed directors of Opimus Press, as is Gábor Mátrai, the former deputy chair of Prime Minister Viktor Orbán’s widely criticized media regulatory authority, namely the National Media and Infocommunications Authority. The future of Népszabadság as an independent, critical voice, and the future of the paper’s editorial team, looks darker than ever. 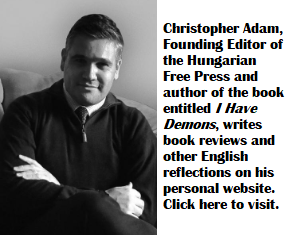 “Nepszabadsage” was during the Communist regime a major left newspaper to the Hungarian Communist Workers. I am glad for many turnarounds all over the country, thanks to Viktor Orban administration. Of course you are “glad for many turnarounds all over the country, thanks to Viktor Orban administration.” Every fascist would be. However you can’t call this administration, this gang has failed in every sector of government: the economy, education, healthcare, social development, culture, innovation, etc. The only areas of “achievement” are embezzlement, political corruption and power grabbing. Yes Hungary is performing better!!!!! More poverty in a very very poor country. But hey! France is going down the pan too. Népszabadság was turned into a liberal democratic paper when communist rule ended in Hungary. It stayed on this course for 26 years, until Viktor Orbán cut it off at the knees. It is now being turned into yet another propaganda outlet for the ruling government Party. A 40,000 circulation paper, consisting of a few pages, is no financial burden for a billionaire. The cost is the equivalent of pin money – and especially in a mafia-state like Hungary, where Orbán’s media moguls are fattened up by vast sums of public funds, skimmed off from EU subsidies, by the Hungarian Prime Minister’s Office. Nowhere else in the EU is the allocation of EU subsidies controlled out of the PMO except Hungary. The reason is plain to say. As the saying goes – the best way to rob a bank is to own it. Instead of coddling and toasting Orbán’s Foreign Minister Peter Szíjjártó in Ottawa this week, Prime Minister Trudeau should send this bank-robber packing back to Budapest. It is not a case of a “company with ties to Fidesz party” that bought the paper, but a case of a tinpot dictator who closed the largest daily down – Mészáros is just Orban’s front man. This move conforms perfectly to the Fidesz years old strategy of eliminating all free media, by acquisition, economic destruction or administrative means. This is what all dictatorships do. Re Népszabadság: my bet is they will offer the staff to remain (and write what they are told). Many will try before they resign or are fired, in the mean time the regime will claim that everything was done to accomodate the staff, but they didn’t want to work.. (there is no limit to how brazen the Orban lies can be). The whole thing is a conspiracy theory. NOL was in the red. Buy it, finance it and it’s yours. Commie paper? Opposition? Who cares? There are other opposition publications enough. The oldest and weakest was killed with the least readers. What about atlatszo, 444, and many others. They’ve got the money they survive. There’s no such thing as political dictatorship, there’s just financial dictatorship. Freedom? God laughs about freedom. You’ve got the money you’ve got the army, you’ve got the power, you’ve got the ideology. What’s money? Digits in your computer, printed papers you got from the thin air without value . Money is not what you have , it’s what the others don’t have. It’s value is what you can take away from others so that you can control them. That’s the only value of money, you don’t need to be an economist to understand this. Money is power, everything is business. Orban will centralize all the power and when the dirty job is finished he will be removed from the velvet chair. Does that poor guy have a plan and the tool to secure his position and his life? Who’s gonna be the one next sitting in the pre-warmed chair. You? No, the laughing third. The whole world is crying a river over NOL. Don’t, you don’t need. Buy it. Not for sale? Employ all the all the sacked staff and start NOL again. It only needs a + one letter in the name but what if not more people will read it than the same old NOL? For that’s gonna be the same? No? ‘Common crying world and international community. Buy and finance all sacked staff and start it over. It’s yours it’s still alive. You can’t tell Christopher’s reader about these events without giving the inside explanation from David Icke’s shape-shifting lizards. You are being disrespectful to all those who read us on here. I’ve crossed out ‘all’ because there can’t be that many. Your owe it to your loyal readers – if there is one. Sorry everybody, it was just a little endearment to my little pet who cannot live without me. So, back to topic. The name of Mészáros comes up each time we speak about the Orban regime, and not without reason. It was Simicska at the first place. And now I have questions. Orban emerged from the previous soc era. A little Felcsut boy with traumatic childhood suddenly gets helping hands from those big boys from the Kadar era, gets money to go to Oxford and helping hands placing him high to the top of the pole where from he just can’t come down without injury. He stays but he is migrating from one hand to another hand, the ownership changes; in a previous short good Gollner comment all the names were mentioned. Simicska is gone and look; like in fairy tales a gas fitter meets Orban in a VIP box while Orban watching the soccer game and Meszaros is fixing the gas pipe. What can be more natural than gas fitters and PMs meet. Orban fell in love with him and an uneducated gas fitter suddenly becomes a knowledgeable expert of banking, business, duties of a mayor, handles billions with expertise, purchases and sells real estates if necessary, can be a media mogul whatever. But of course we don’t speak about invisible hands because it’s conspiracy theory. My question is, who’s pulling the string and what Orban’s successor is going to do once he’s gone. What’s going on here? yes unfortunately. Yet, I am happy to see that other posters are capable to recognize this sad trend. I year ago there was outcry that Orban a dictator is going to introduce the state of emergency or martial law in order to secure his power. What happened? He secured his power in a different way by standing up for the safety of the Hungarian people in the migrant crisis and actually it was France and not Hungary that introduced the state of emergency/martial law. Orban was many times attacked that he is going to tear Hungary out from the EU and what happened? It was the U.K. the first to exit the EU the Brexit and not Orban. So (I am telling this to all readers not to Charlie) that is why I am trying to be impartial and objective and not to hate Orban and be more careful with sinister accusations because we can’t see the future and it can easily happen that reality will teach us a bitter lesson. The H government will spend 55 billion + by the end of this year improve healthcare. “UK is most corrupt country in the world, says mafia expert Roberto Saviano. “Scandal: Just how corrupt is Britain? Rotten banks, dodgy cops, MPs on the fiddle. A conference on public life has evidence to topple long-held assumptions………. No my little hairy pet, what’s your problem with Hungary? So look at the graph Hungary and the U.K., we are pretty close to each other below the EU average poverty rate. And look at my comments all, you miserable loser that’s why you have no better thing to do than insulting other posters and Hungary in your usual boorish way and to fantasize about lizards and other stupid off topic nonsense – now you have posted altogether at least 20 idiotic lizard comments on all threads – while eloquently and hilariously worrying about what would happen to Christopher’s site if commenters are posting off topic idiotic messages (like lizards). Good poster from the U.K., Charlie London. P.S. Sorry for posting all messages separately but HFP accepts only one URL in one comment and I posted more than one URL. There are hundreds more I just picked the first ones. we noticed you the first time. Why don’t you curl up with your URLs in the corner of your play room, rather than here, where no one gives a hoot what you are on about. I congratulate those who have the smarts not to react to you.